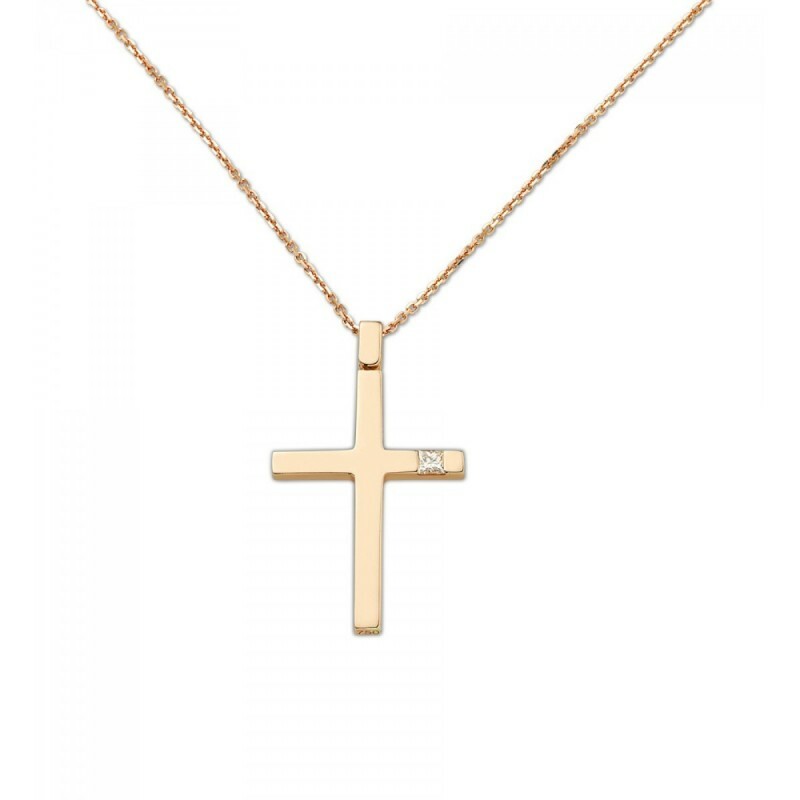 The God Bless Pendant is a handcrafted textured cross pendant necklace in 18k rose gold set with 0.11ct Brilliant-cut diamonds. The pendant dangles on a delicate, tripled, 18k pink gold, 42cm chain. Part of the ‘All Time Classic’ Collection, Anastazio Kotsopoulos is inspired by greek folklore and feminine sexuality, embracing these themes in his approach.